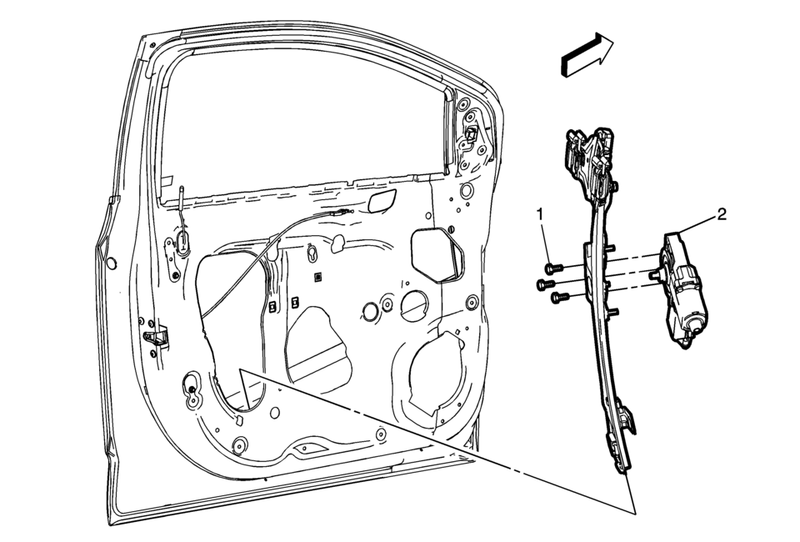 Remove the front side door window regulator. Front Side Door Window Regulator Replacement. Inspect the door window for proper operation before installing the door trim.